It is time. Time to reason with myself. I’m not going to write a full blog post for all of the ties that I’ve tossed into the procrastination bin. It’s time to catch up, and knock a bunch out. This will be a lightning round, a TdJ marathon and a necktiepalooza all rolled into one. And I won’t forget all the Guys With Ties, and Girls With Ties, who made it fun along the way. 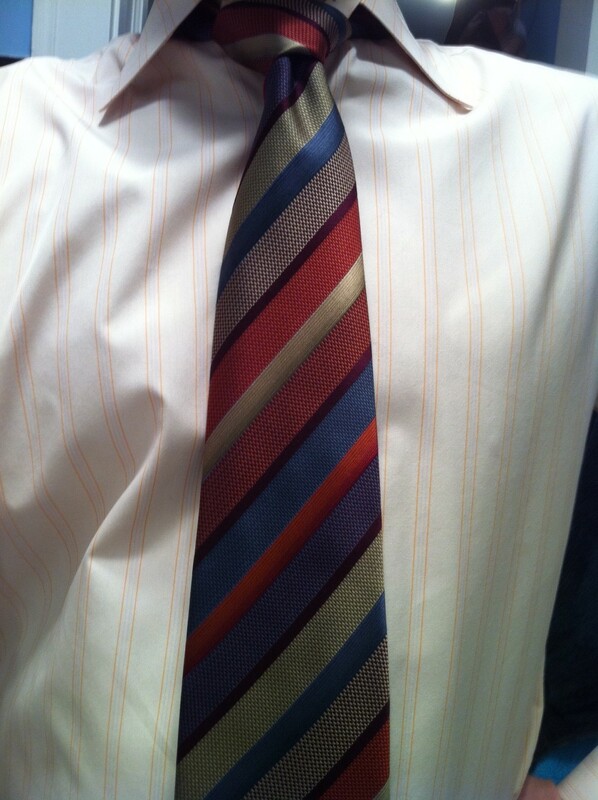 I start out, rather fittingly, with this tagless striped strip. I am pretty sure I got it from my friend Paul Giddings’ collection. I’m also pretty sure that Paul never put it with a plaid shirt. 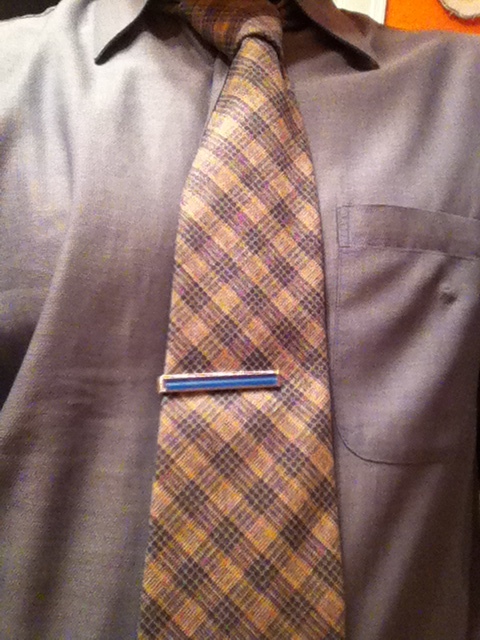 Hmm, not sure this works…good thing I can’t wear this tie again. 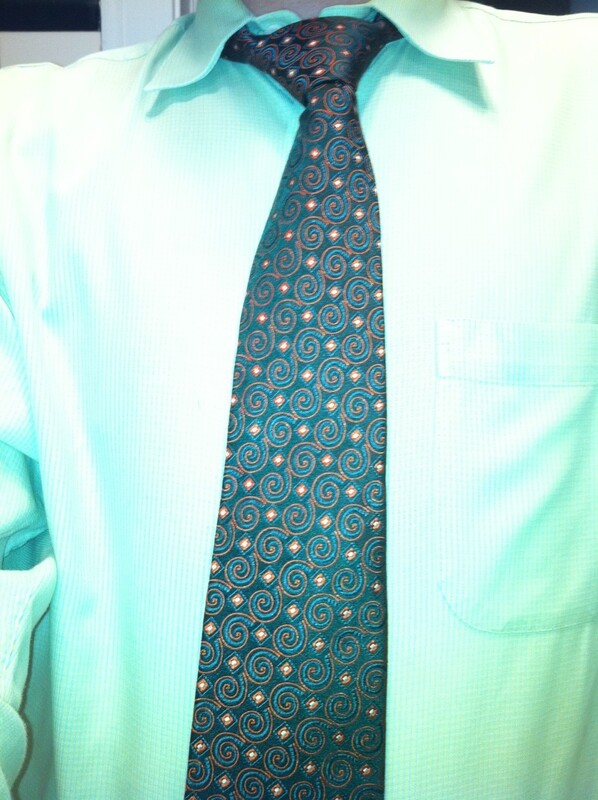 I get a little bit better (not everyone would agree) with Lightning Rounder #2…this Enrico Rossini paisley tie has a nice orange/brown tinge (not everyone would think that sounds great), and matches up nicely with my shirt’s stripes (not everyone uses parentheses three times in a paragraph). By the way, it’s probably not possible for you, dear reader, to notice, but my tie-wearing ensembles have been a bit less formal lately. I’m only wearing suits about 10% of the time that I wear ties, which is a pretty polar opposite of my time at the Evanston Chamber. My Few Spirits, TieXchange and State Farm duties have been a bit more casual, and it’s never good to find myself in a suit when something needs to be lifted at the distillery. After all that blahblah about not wearing suits so much, this next TdJ-shirt ensemble was actually sported with one. 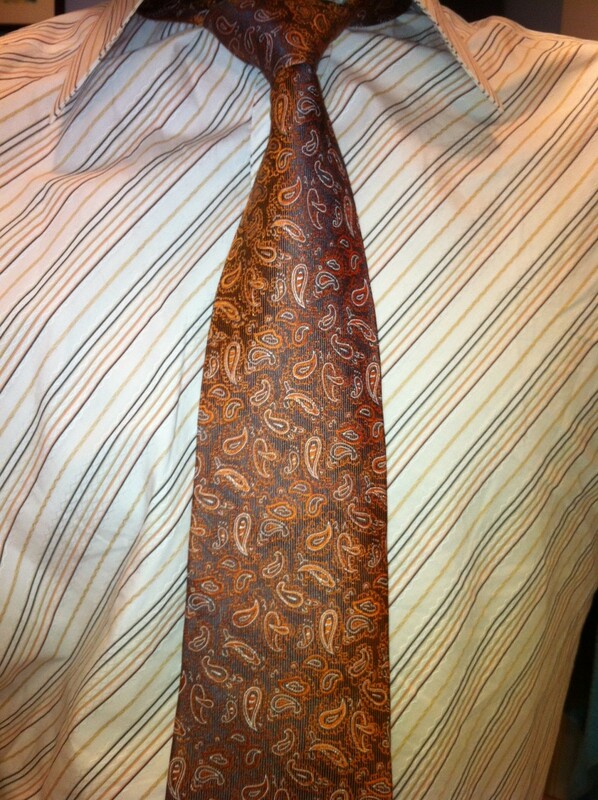 It’s another great tie, made with more beautiful fabric, by my friends at Paul Fredrick. 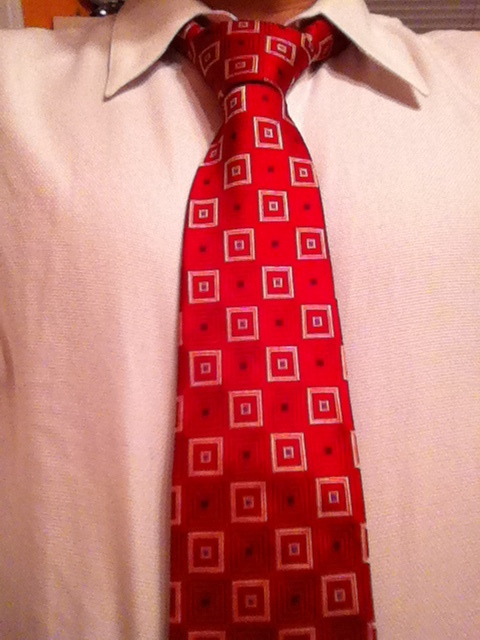 This will definitely be a TieXchange tie, very soon…where it will join 40 other Paul Fredricks. 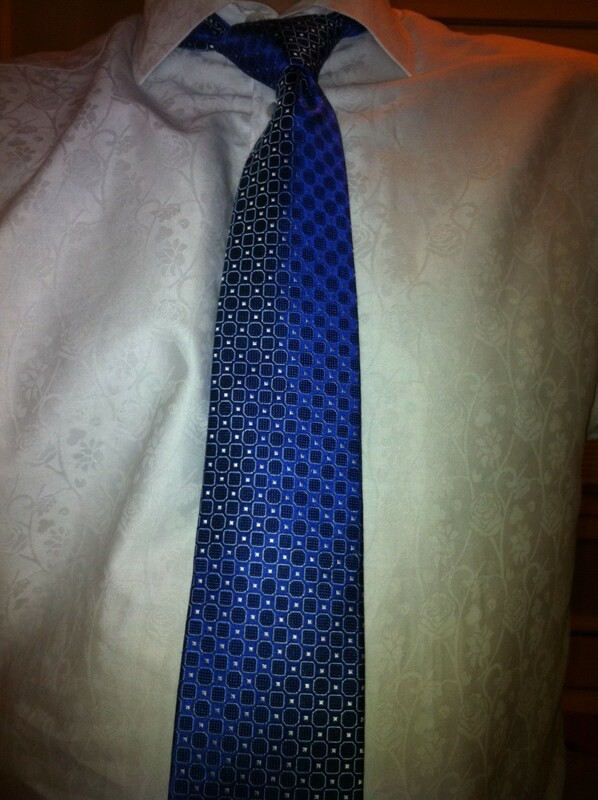 Next is a spectacular blue from Hugo Boss. It was given to me by a spectacular woman, my girlfriend, Andrea. I wore this tie with her, and she sparkled as much as it did that night. We enter into the much-less-sparkling-and-spectacular arena with the next one, a vintage wool tie under Italian designer Gino Pompeii’s Nik-Nik line. 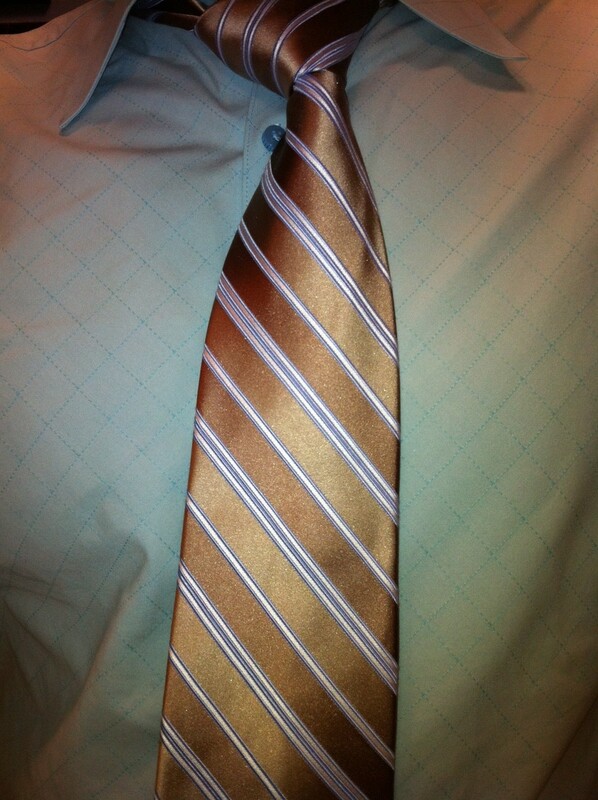 Aaaaand, back to the silk with this brown and blue striped number from Jones New York. 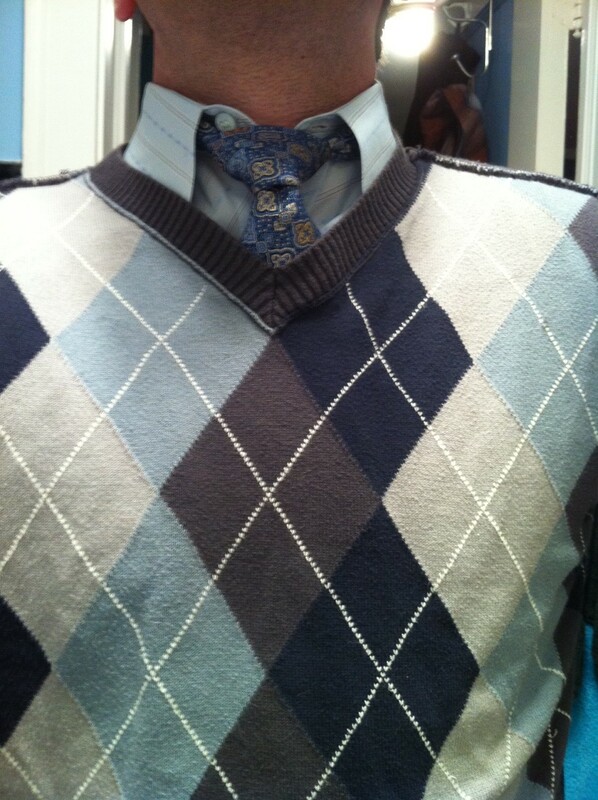 While it would be somewhat muted on a plain white shirt, I decided to doll it up with this aquamarine shirt. Well, I’m up to 6 here. First time I’ve gone with more than 1, if memory serves. Feeling a bit crowded, but…Onward and sevenward? We stick with our pattern of new tie/vintage tie (a nice way of saying TieXchange-worthy/non-TieXchange-worthy) with yet another brown tie. This is from Huntley’s, which was a men’s store in Evanston until the 70s or 80s. 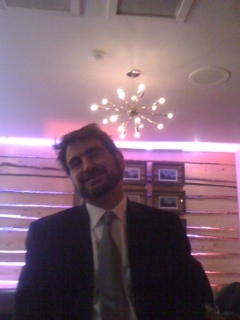 And here I come to my first Guy With Tie, who, it turns out, is actually a BWT (Brother With Tie). My younger brother, Grant, who has made an appearance as a BWT before. He lives in Denver with his wife, Mo. 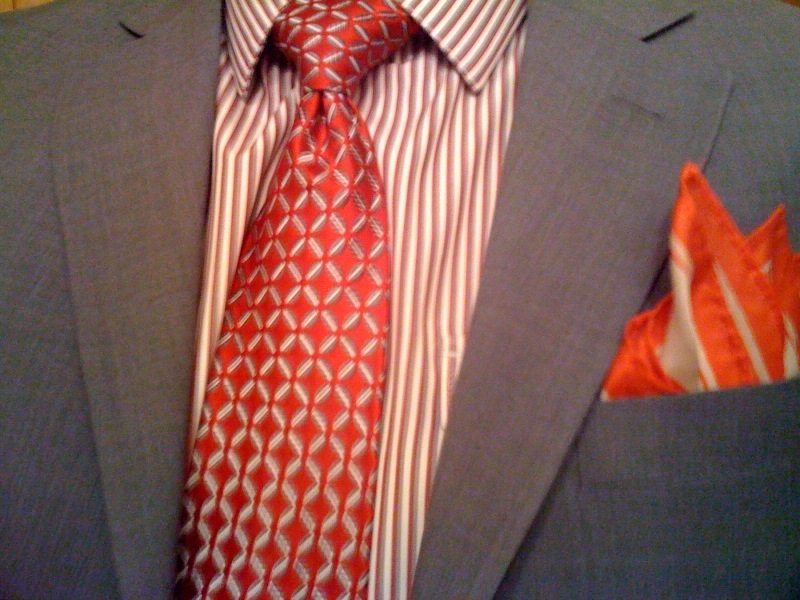 Some Fruit Stripe stripes from Kenneth Cole…my not-so-crapIphone camera went back to crapi on this one. It’s a lot less muted in real life. And this next tie is pretty funny. From a designer called Linnea Franco, I picked it up at a resale shop, probably Unique Thrift Store. But, I didn’t really check the length when I bought it. So, when I put it on, it only came down between my bellybutton and my medulla oblongata. Wait, that’s not right, that’s in the brain. Sternum? It’s the sternum! Dang brain. 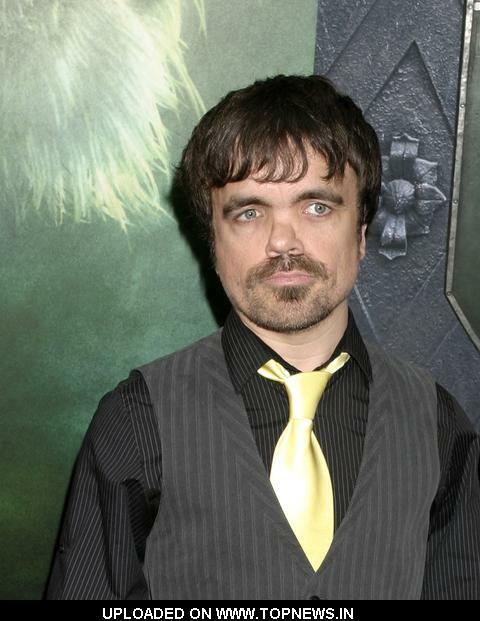 Anyway, the tie was obviously built for a child, or Peter Dinklage. Soooo, I threw a sweater over it. Silly me for not taking the pic in its infinite shortitude. Wimp. Okay, now the lightning round will come to a close with another Hugo Boss effort. Bright red with little squares. Aaaand, I’m done with knocking out these 10. But, I guess there weren’t so many GWTs, but there will be some in the next few days. Promise. 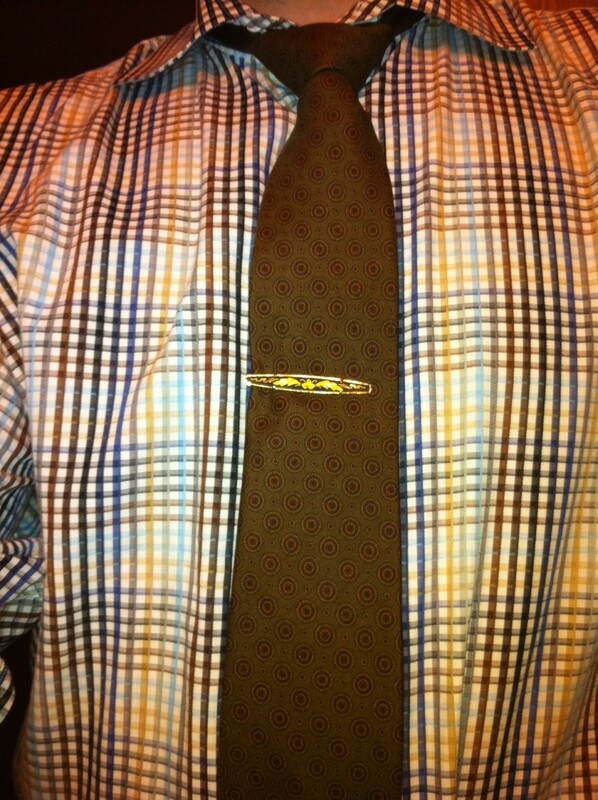 Sometimes a tie just goes perfectly with a certain shirt. I’ve worn this combo 3 or 4 times since starting at the Chamber, and I’m not sure if I’ve ever put a different tie with this shirt. The red/gray (that’s ‘grey’ to our British readers) motif catches the eye, I think (sorry, it’s hard to see in the photo, but the red pinstripes are actually snug next to gray ones). The pocket square reminds me of a little campfire. This beauty from Jones New York is definitely a part of a mix that I’ll miss while I go through the exercise of wearing all of my ties before I sport them again. 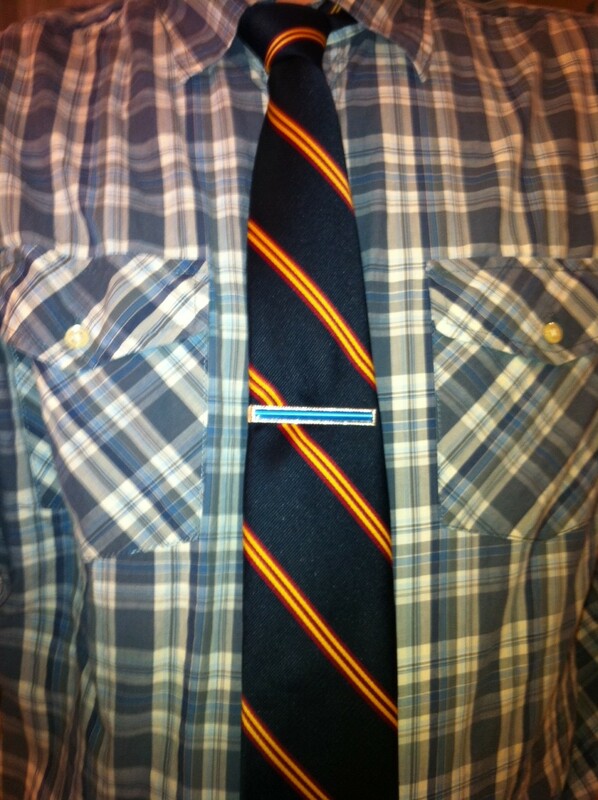 Perhaps I’ll come up with a ‘ReRun Week’ or ‘Withdrawal Week’ for the shirt/tie pairings I like the best. Today I did something I haven’t done in perhaps 20-25 years…I won a trophy. Yes, the McGaw YMCA B-League Winter Session racquetball championship (known in these parts as the McG.Y.M.C.A.B-L.W.S.r.c.–it’s pronounced McGimka-blewzerk) crown went to yours truly. I did not wear a tie, but I’m sure that, since I dressed like a champion, I became a…yeah, whatevs. I’m also going to be giving some of these ties away. If you particularly like one or the other and give me sufficient reason, I’ll get it to you. Sending an SASE would help in the ‘sufficient reason’ department. 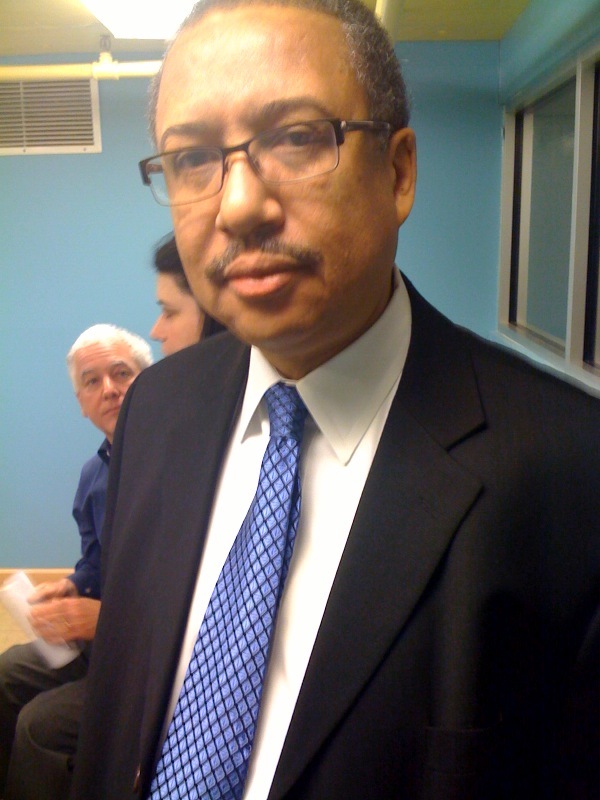 One more ‘Guys With Ties’ today: It’s Lehman Walker, the City of Evanston‘s Director of Community Development. I met Lehman this morning at the City/Chamber meeting, and his blue-on-blue tie brightened the room.